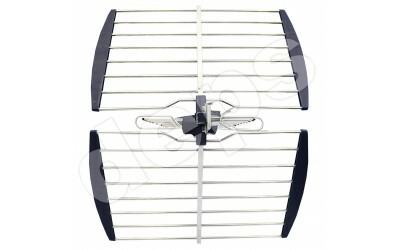 The antenna AN6001M set is partially disassembled and consists of the antenna itself (model AS44HD) packed in two plastic bags and F type connector for cable with rubber O-ring and rubber protective cover. For safety during transportation each carton box contains 10 antennas. Due to «Click-Clack» mechanism the reflector assembly is made just in a few seconds without any tools. 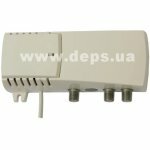 The antenna is very effective and works reliably in areas with a weak signal , providing reception of analogue and digital signals (DVB-T2) including HD TV. Double large area reflector panel provides the protection from reflected signals and any interferences. 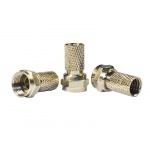 Antenna elements are made of anodized aluminum for light weight and high resistance to corrosion. 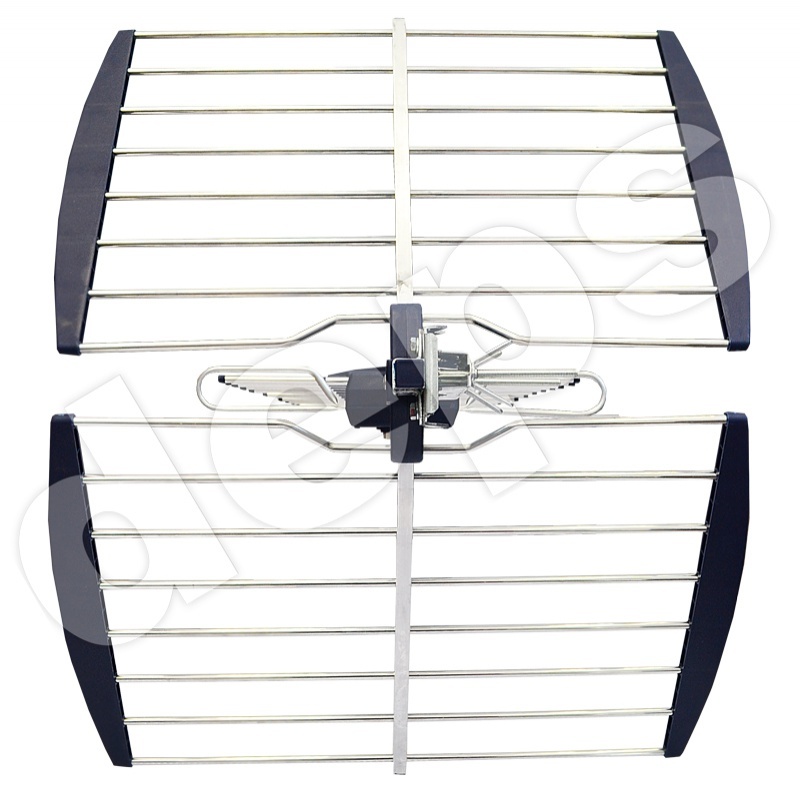 Plastic parts of the antenna are resistant to ultraviolet light and temperature fluctuations. Mounting assembly is made of galvanized steel. 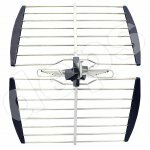 The design allows mounting assembly to turn the antenna 90 ° when receiving signals with vertical polarization , but also allows the antenna to tilt up and down at an angle up to 20 degrees. 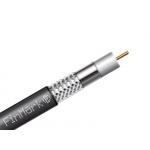 Antenna output is equipped with a standard F type connector .